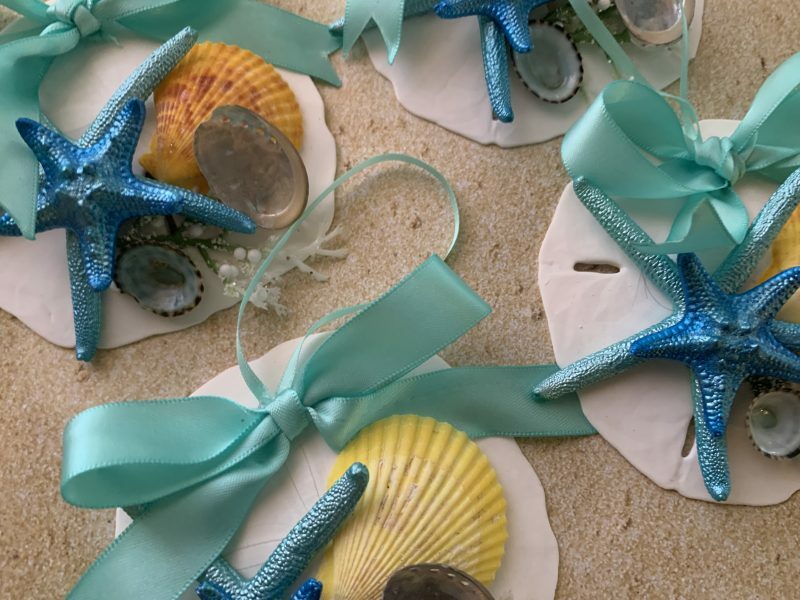 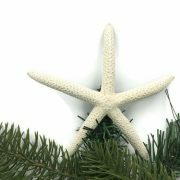 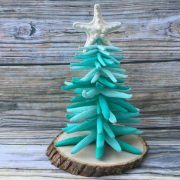 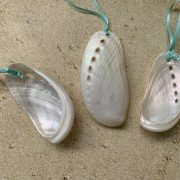 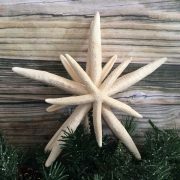 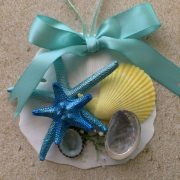 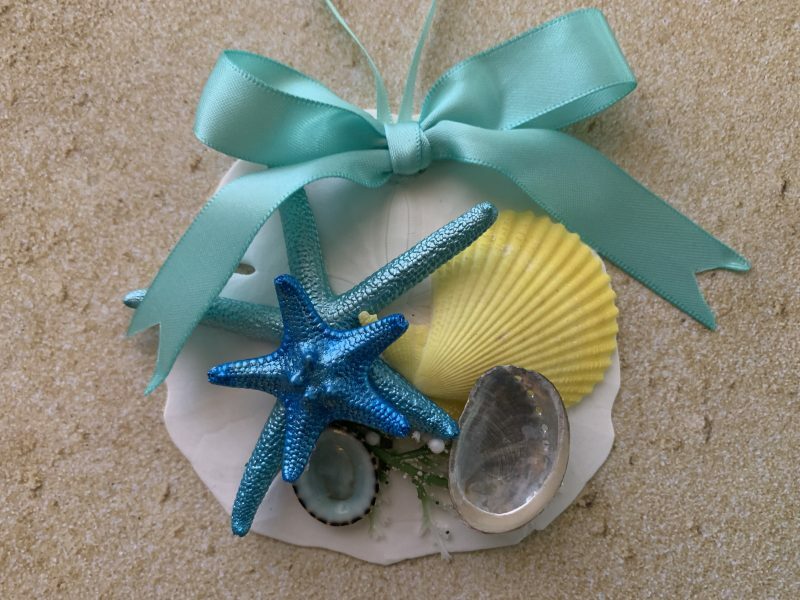 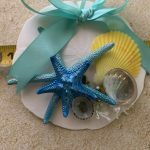 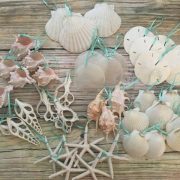 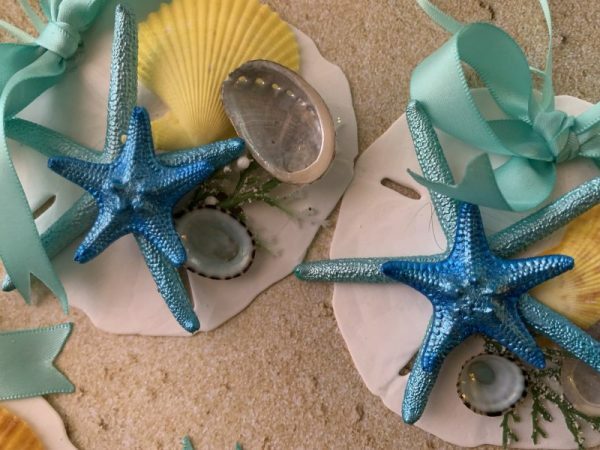 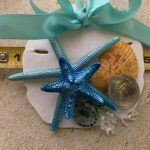 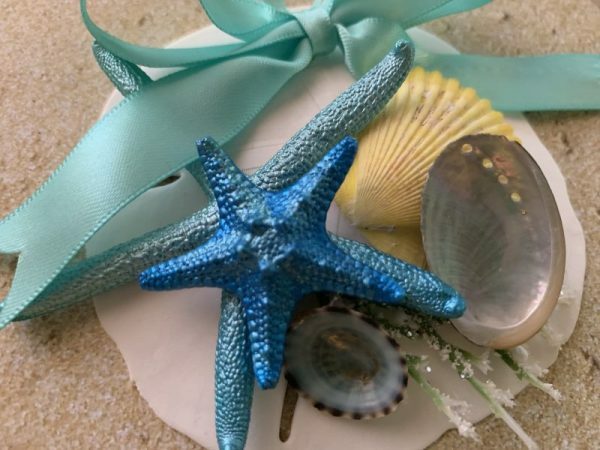 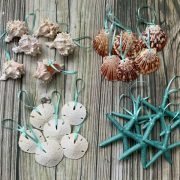 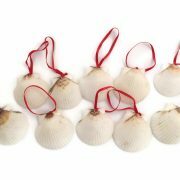 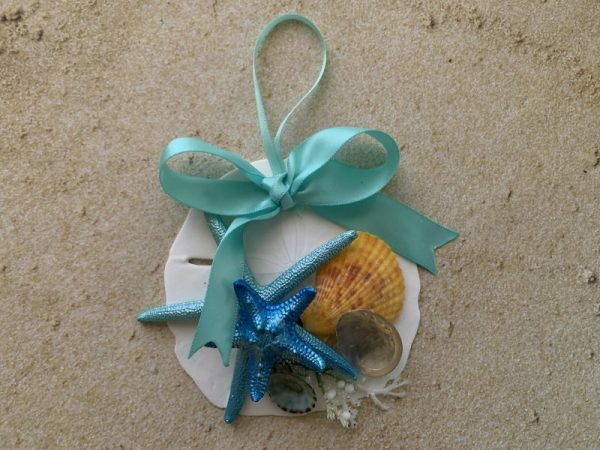 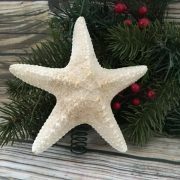 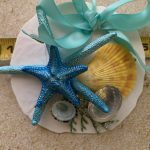 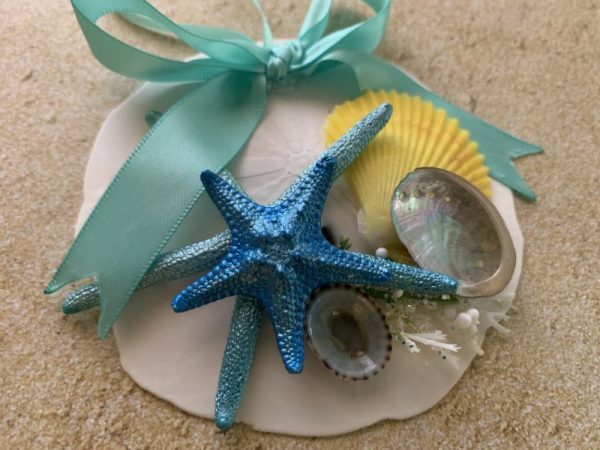 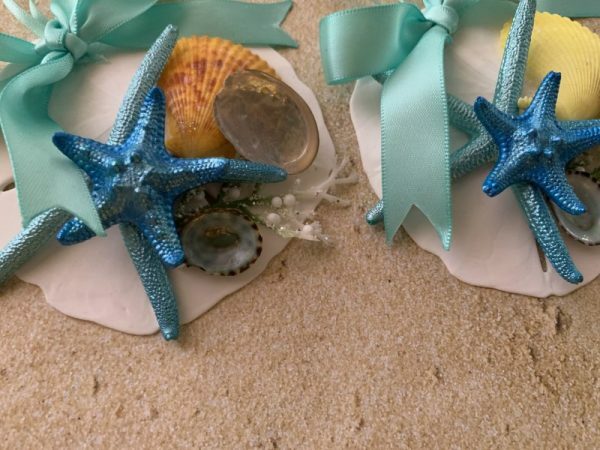 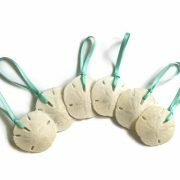 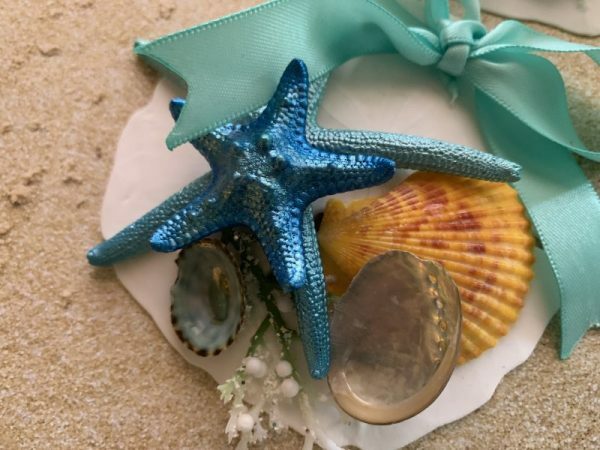 Unique sand dollar ornament adorned with seashells and starfish. 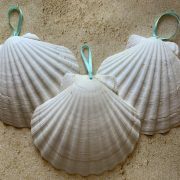 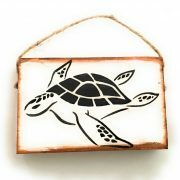 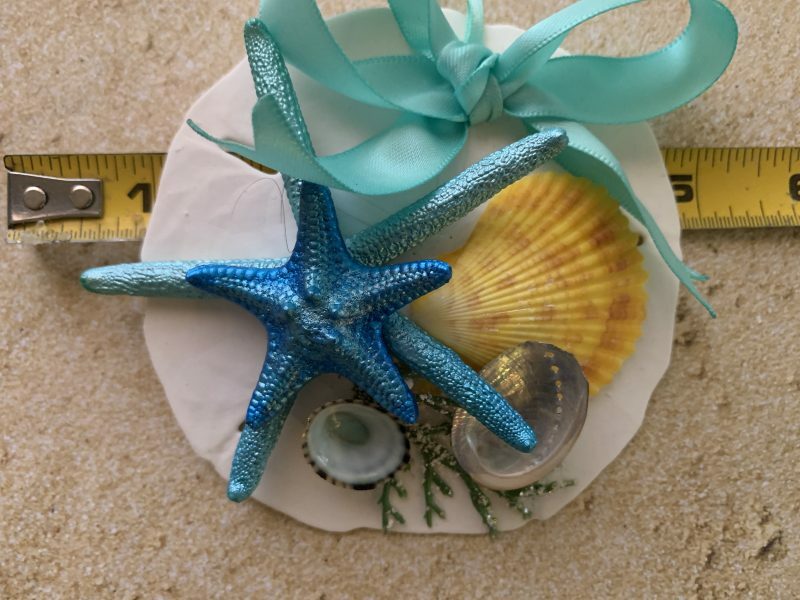 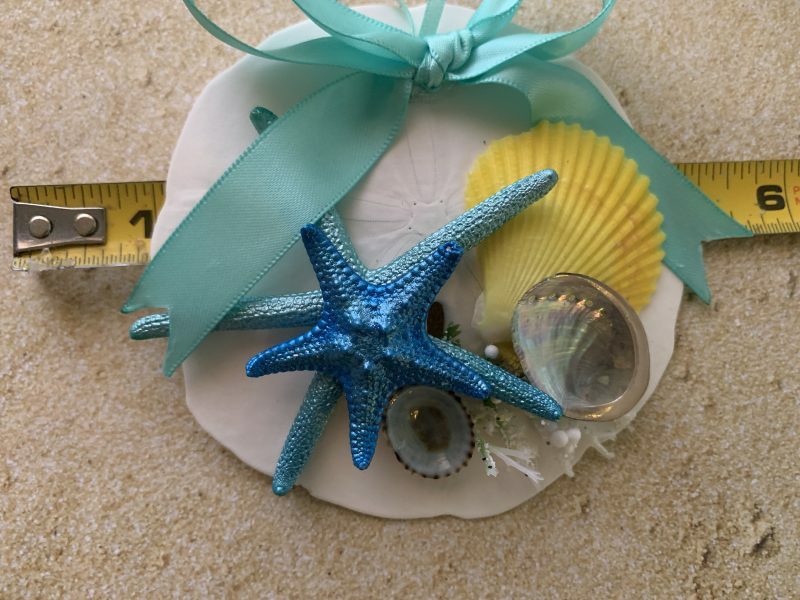 This beautiful large Sand Dollar measures approximately 3.75 – 4 inches. 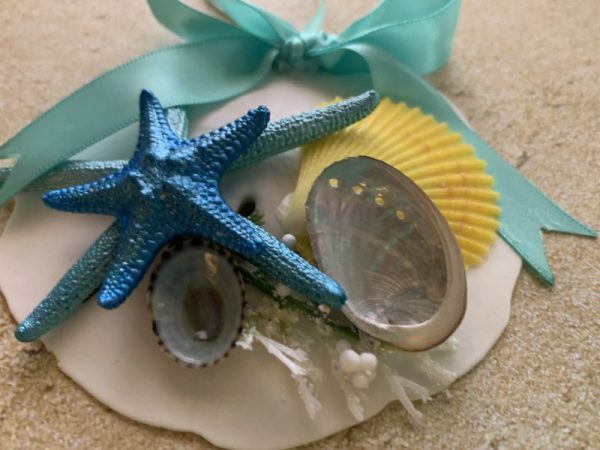 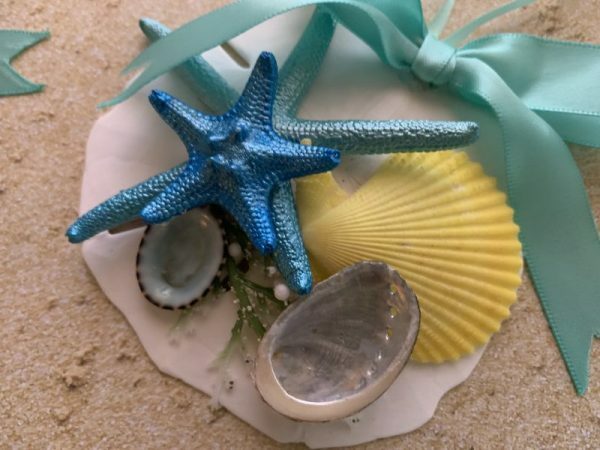 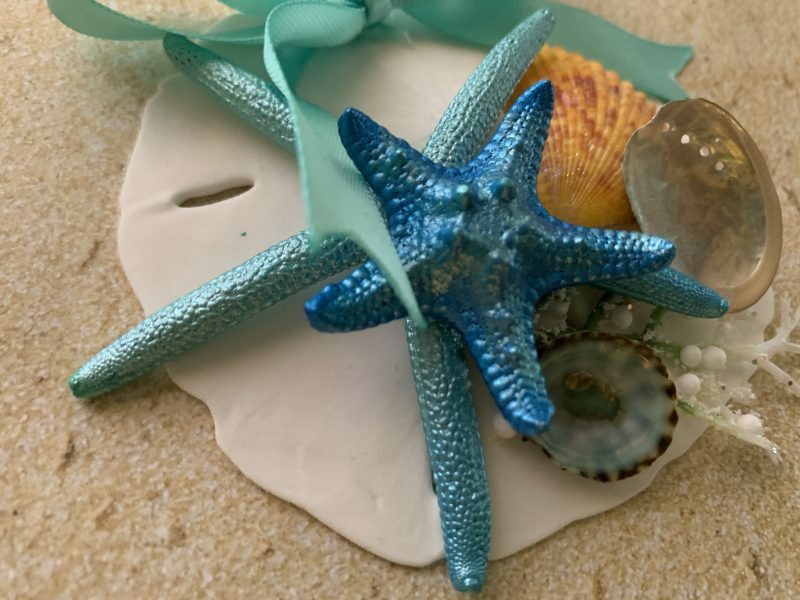 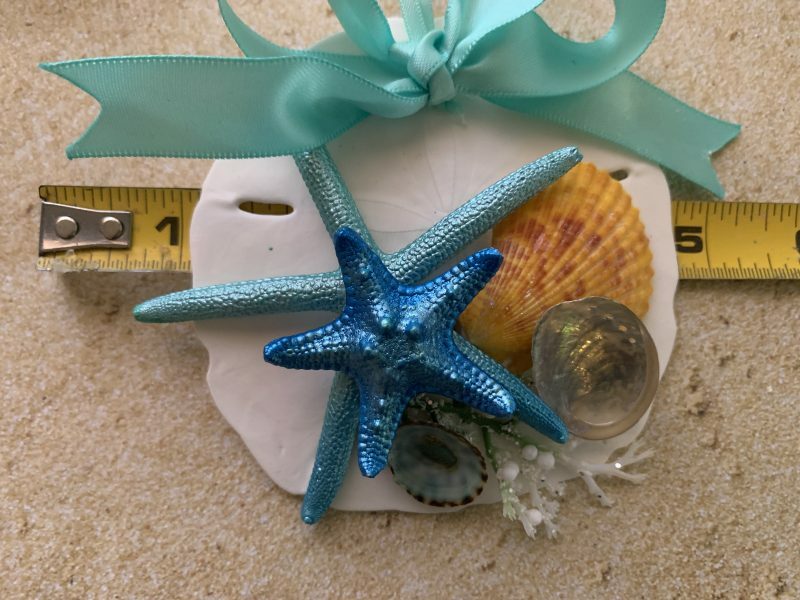 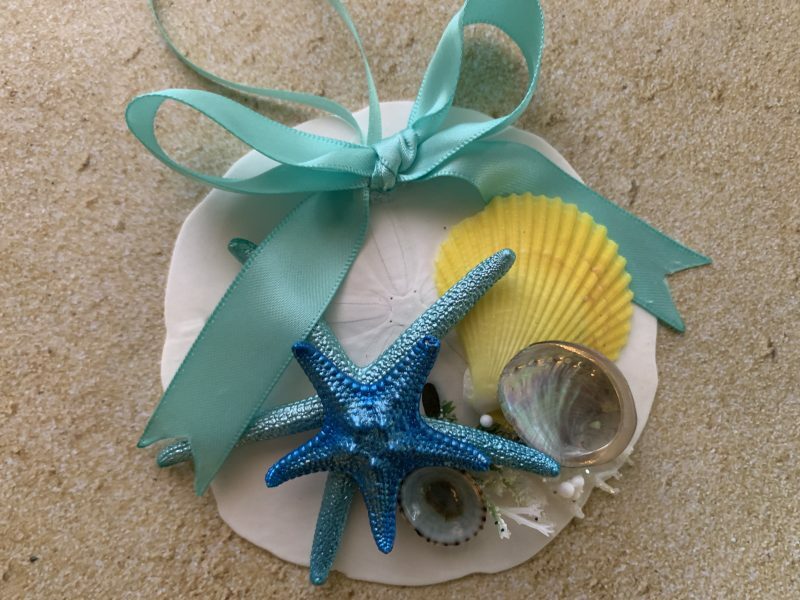 Sand Dollar is finished with ombre metallic turquoise finger starfish with sapphire blue knobby starfish, variety yellow scallop seashell, abalone shell, and green limpet. 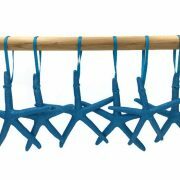 Hung with turquoise ribbon, with bow.